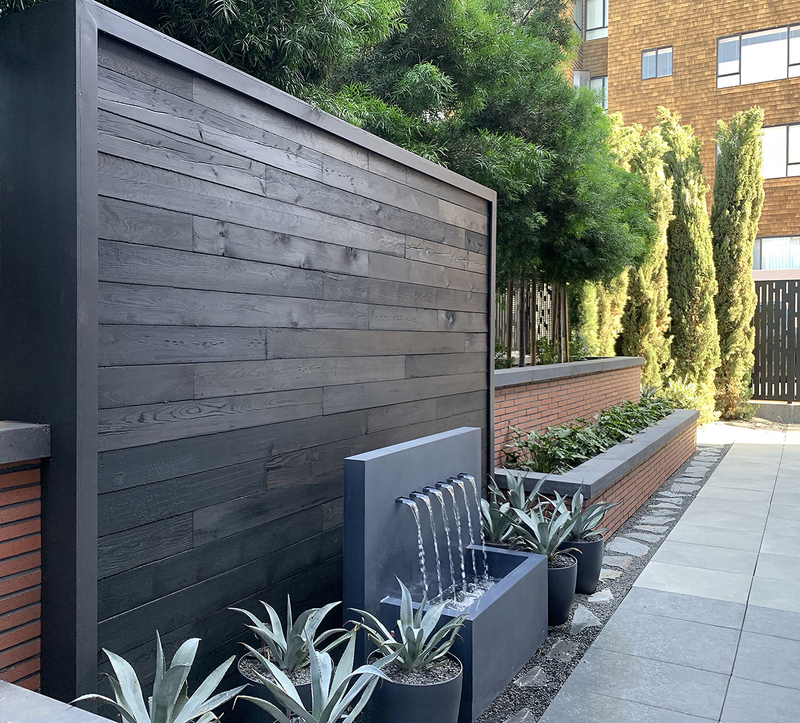 Shou Sugi Ban Deep Char accent wall. 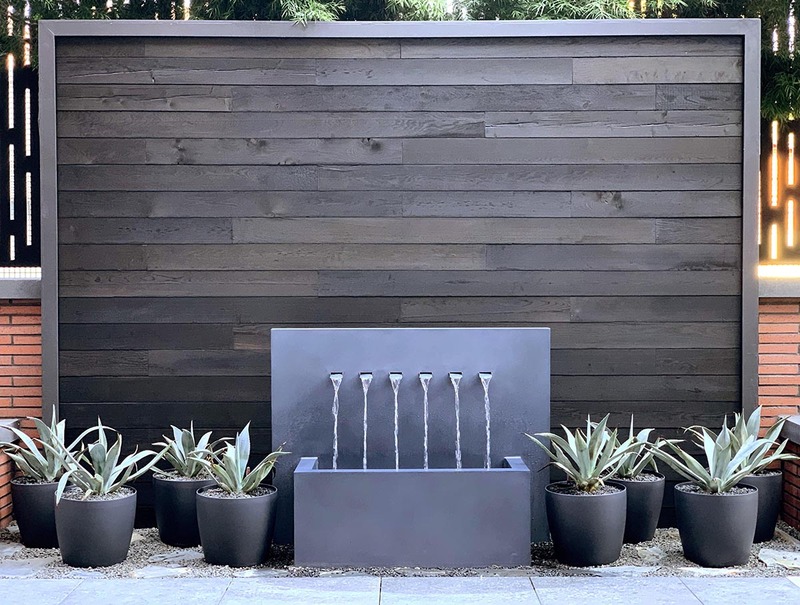 A private residence with a fountain installation that features a Shou Sugi Ban Deep Char accent wall. Questions about this project? Email us.